This section of the statement has reviewed the complex process of muscle fatigue and has discussed the available direct and indirect measurements relevant to the assessment of fatigue of the respiratory muscles. Although a variety of measures and indices have been employed to assess the development of respiratory muscle fatigue in research, there is no well described technique that has been successfully developed and tested to permit precise identification of respiratory muscle fatigue in the clinical setting. of the tests reviewed, breathing pattern analysis and measurement of thoraco-abdominal motion are nonspecific indices that do not directly measure fatigue. Analysis of the pressure-time index provides a useful conceptual framework, but not a specific test of fatigue. in the research environment, serial measurement of maximal voluntary respiratory pressures, assessment of maximum relaxation rates, frequency domain EMG analysis, and measurement of respiratory muscle pressures in response to electrical or magnetic nerve stimulation are all techniques that can be used to assess the evolution of respiratory muscle fatigue. of these techniques, serial measurement of respiratory muscle pressure generation in response to electrical or magnetic stimulation is arguably the best technique to directly assess the development of respiratory muscle fatigue at the present time, and it offers the greatest promise for future development into an objective test of respiratory muscle fatigue in the clinical arena. 1. Cohen C, Zagelbaum G, Gross D, Roussos C, Macklem PT. Clinical manifestations of inspiratory muscle fatigue. Am J Med 1982;73: 308-316. NHLBi Workshop Summary. Am Rev Respir Dis 1990;142:474-480. 3. Bellemare F, Bigland-Ritchie B. Assessment of human diaphragm strength and activation using phrenic nerve stimulation. Respir Phys-iol 1984;58:263-277. 4. scardella A, santiago T, Edelman N. Naloxone alters the early re sponse to an inspiratory flow-resistive load. J Appl Physiol 1989;67: 1747-1753. 5. Bellemare F, Bigland-Ritchie B. Central components of fatigue assessed by phrenic nerve stimulation. J Appl Physiol 1987;62:1307-1316. 6. Allen GM, Gandevia SC, McKenzie DK. Reliability of measurements of muscle strength and voluntary activation using twitch interpolation. Muscle Nerve 1995;18:593-600. 7. McKenzie DK, Bigland-Ritchie B, Gorman RB, Gandevia sC. Central and peripheral fatigue of human diaphragm and limb muscles assessed by twitch interpolation. J Physiol (Lond) 1992;454:643-656. 8. santiago T, Remolina C, scoles V, Edelman N. Endorphins and control of breathing: ability of naloxone to restore the impaired flow-resistive load compensation in chronic obstructive pulmonary disease. N Engl J Med 1981;304:1190-1195. 9. Petrozzino JJ, Scardella A, Santiago T, Edelman N. Dichloracetate blocks endogenous opioid effects during inspiratory flow-resistive loading. J Appl Physiol 1992;72:590-596.
gtretta A. Endogenous opioids modulate the increase in ventilatory output and dyspnea during severe acute bronchoconstriction. Am Rev Respir Dis 1990;142:812-816. 11. Adams JM, Farkas GA, Rochester DF. Vagal afferents, diaphragm fa tigue, and inspiratory resistance in anesthetized dogs. J Appl Physiol 1988;64:2279-2286. 12. Aldrich TK. Respiratory muscle fatigue. Clin Chest Med 1988;9:225-236. 14. Bazzy AR, Donelly DF. Diaphragmatic fatigue during loaded breath ing: role of neuromuscular transmission. J Appl Physiol 1993;74: 1679-1683. 15. Aubier M, Farkas G, De Troyer A, Mozes R, Roussos C. Detection of diaphragmatic fatigue in man by phrenic stimulation. J Appl Physiol 1981;50:538-544. 16. Westerblad H, Allen DG. Changes of myoplasmic calcium concentra tion during fatigue in single mouse muscle fibers. J Gen Physiol 1991; 98:615-635.
metabolic aspects. in: Roussos C, editor. The thorax, 2nd ed. New York: Marcel Dekker; 1995. 18. Nosek TM, Leal-Cardoso JH, McLaughlin M, Godt RE. inhibitory in fluence of phosphate and arsenate on contraction of skinned skeletal and cardiac muscle. Am J Physiol 1990;259:C933-C939. 19. Jones DA. Muscle fatigue due to changes beyond the neuromuscular junction. in: Porter R, Whelan J, editors. Human muscle fatigue: physiological mechanisms. London: Pitman Medical; 1981. p. 178-190. N-acetylcysteine on diaphragm fatigue. J Appl Physiol 1990;68:2107-2113. 21. Anzueto A, Andrade FH, Maxwell LC, Levine SM, Lawrence RA, Gib bons WJ, Jenkinson SG. Resistive breathing activates the glutathione redox cycle and impairs performance of the rat diaphragm. J Appl Physiol 1992;72:529-534. 22. Moxham J, Wiles CM, Newham DD, Edwards RHT. Contractile func tion and fatigue. in: Porter R, Whelan J, editors. Human muscle fatigue: physiological mechanisms. London: Pitman Medical; 1981. p. 197-205. 23. Wragg S, Aquilina R, Moran J, Hanmegerd C, Green M, Moxham J. Di aphragm fatigue following maximum ventilation in man. Am Rev Respir Dis 1992;145:A147. Lodato RF, Dantzker DR. The pattern of breathing during successful and unsuccessful trials of weaning from mechanical ventilation. Am Rev Respir Dis 1986;134:1111-1118. 25. Mador MJ, Tobin MJ. The effect of inspiratory muscle fatigue on breathing pattern and ventilatory response to C02. J Physiol (Lond) 1992;455:17-32. 26. Roussos C, Fixley M, Gross D, Macklem PT. Fatigue of inspiratory mus cles and their synergic behavior. J Appl Physiol 1979;46:897-904. Grassino A. Dissociation between diaphragmatic and rib cage muscle fatigue. J Appl Physiol 1988;64:959-965. 28. Tobin MJ, Perez W, Guenther SM, Lodato RF, Dantzker DR. Does rib cage-abdominal paradox signify respiratory muscle fatigue? J Appl Physiol 1987;63:851-860. 29. Bellemare F, Grassino A. Effect of pressure and timing of contraction on human diaphragm fatigue. J Appl Physiol 1982;53:1190-1195. 30. Zocchi L, Fitting JW, Majani U, Fracchia C, Rampulla C, Grassino A. Effect of pressure and timing of contraction on human rib cage muscle fatigue. Am Rev Respir Dis 1993;147:857-864. 31. Bellemare F, Grassino A. Force reserve of the diaphragm in COPD pa tients. Appl Physiol 1983;55:8-15. 32. Vassilakopoulos T, Zakynthinos S, Roussos C. The tension-time index and frequency-tidal volume ratio are the major pathophysiologic determinants of weaning failure and success. Am J Respir Crit Care Med 1988;158:378-385. 33. Bai TR, Rabinovitch J, Pardy RL. Near-maximal voluntary hyperpnea and ventilatory muscle function. J Appl Physiol 1984;57:1742-1748. 34. Loke J, Mahler DA, Virgulto JA. Respiratory muscle fatigue after mara thon running. J Appl Physiol 1982;52:821-824. 35. Chevrolet JC, Tschopp JM, Blanc Y, Rochat T, Junod AF. Alterations in inspiratory and leg muscle force and recovery pattern after a marathon. Med Sci Sports Exer 1993;25:501-507. 36. Nava S, Zanotti E, Ambrosino N, Fracchia C, Scarabelli C, Rampulla C.
Evidence of acute diaphragmatic fatigue in a "natural" condition: the diaphragm during labor. Am Rev Respir Dis 1992;146:1226-1230. 37. Bye PTP, Esau SA, Walley KR, Macklem PT, Pardy RL. Ventilatory muscles during exercise in air and oxygen in normal men. J Appl Physiol 1984;56:464-471. 38. Miller JM, Moxham J, Green M. The maximal sniff in the assessment of diaphragm function in man. Clin Sci 1985;69:91-96.
ageal pressures in the assessment of global inspiratory muscle strength. Am Rev Respir Dis 1988;138:598-603. 40. Héritier F, Rahm F, Pasche P, Fitting JW. Sniff nasal inspiratory pres sure: a noninvasive assessment of inspiratory muscle strength. Am J Respir Crit Care Med 1994;150:1678-1683. 41. Uldry C, Fitting JW. Maximal values of sniff nasal inspiratory pressure in healthy subjects. Thorax 1995;50:371-375. 42. Esau SA, Bellemare F, Grassino A, Permutt S, Roussos C, Pardy RL. Changes in relaxation rate with diaphragmatic fatigue in humans. J Appl Physiol 1983;54:1353-1360. 43. Esau SA, Bye PTP, Pardy RL. Changes in rate of relaxation of sniffs with diaphragmatic fatigue in humans. J Appl Physiol 1983;55:731-735. 44. Koulouris N, Vianna LG, Mulvey DA, Green M, Moxham J. Maximal relaxation rates of esophageal, nose, and mouth pressures during a sniff reflect inspiratory muscle fatigue. Am Rev Respir Dis 1989;193: 1213-1217. 45. Mador MJ, Kufel TJ. Effect of inspiratory muscle fatigue on inspiratory muscle relaxation rates in healthy subjects. Chest 1992;102:1767-1773.
ham J. Inspiratory muscle relaxation rate assessed from sniff nasal pressure. Thorax 1994;49:1127-1133. 47. Mulvey DA, Koulouris NG, Elliott MW, Moxham J, Green M. Maximal relaxation rate of inspiratory muscle can be effort-dependent and reflect the activation of fast-twitch fibers. Am Rev Respir Dis 1991;144:803-806.
ham J, Green M. Exhaustive exercise slows inspiratory muscle relaxation rate in chronic obstructive pulmonary disease. Am J Respir Crit Care Med 1996;153:787-793. 49. Goldstone JC, Green M, Moxham J. Maximum relaxation rate of the dia phragm during weaning from mechanical ventilation. Thorax 1994;49:54-60. 50. Lippold OCJ, Redfearn JWT, Vuco J. The electromyography of fatigue. 51. Stephens JA, Taylor A. Fatigue of maintained voluntary maximal con traction in man. J Physiol (Lond) 1972;220:1-18. 52. Aubier M, Trippenbach T, Roussos C. Respiratory muscle fatigue dur ing cardiogenic shock. J Appl Physiol 1981;51:499-508. 53. Grassino E, Goldman MD, Mead J, Sears TA. Mechanics of the human diaphragm during voluntary contractions: statics. J Appl Physiol 1978; 44:829-839. 54. McKenzie DK, Gandevia SC. Electrical assessment of respiratory muscles. In: Roussos C, editor. Lung biology in health and disease, 2nd ed., Part B. Vol. 85: The thorax. New York: Marcel Dekker; 1996. p. 1029-1048. 55. Gandevia SC, McKenzie DK. Human diaphragmatic EMG: changes with lung volume and posture during supramaximal phrenic stimulation. J Appl Physiol 1986;60:1420-1428. 56. Beck J, Sinderby C, Weinberg J, Grassino A. Effects of muscle-to-elec trode distance on the human diaphragm electromyogram. J Appl Physiol 1995;79:975-985. 57. Sinderby C, Lindstrom L, Comtois N, Grassino A. Effects of diaphragm shortening on the mean action potential conduction velocity in canines. J Physiol (Lond) 1996;490:207-214. 58. Sinderby CA, Comtois A, Thomson R, Grassino AE. Influence of the bi polar electrode transfer function on the electromyogram power spectrum. 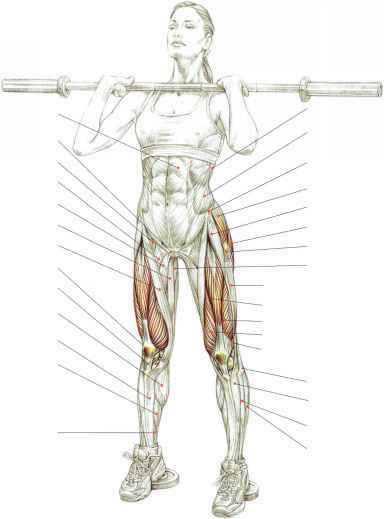 Muscle Nerve 1996;19:290-301. 60. Gross D, Grassino A, Ross WRD, Macklem PT. Electromyogram pat tern of diaphragmatic fatigue. J Appl Physiol 1979;46:1-7. PT, Roussos C. Changes in EMG power spectrum (high/low ratio) with force fatigue in man. J Appl Physiol 1982;53:1094-1099. 64. DeLuca CJ. Myoelectric manifestations of localized muscular fatigue in humans. Crit Rev Biomed Eng 1984;11:251-279. 65. Moxham J, Morris AJR, Spiro SG, Edwards RHT, Green M. Contractile properties and fatigue of the diaphragm in man. Thorax 1981;36:164-168. 66. Moxham J, Wiles CM, Newham D, Edwards RHT. Sternomastoid mus cle function and fatigue in man. Clin Sci Mol Med 1980;59:463-468. 67. Johnson BD, Babcock MA, Sumanand OE, Dempsey JA. Exercise induced diaphragmatic fatigue in healthy humans. J Appl Physiol 1993;460:385-405. 68. Yan S, Gauthier AP, Similowski T, Faltus R, Macklem PT, Bellemare F.
Force-frequency relationships of in vivo human and in vitro diaphragm using paired stimuli. Eur Respir J 1993;6:211-218. Moxham J, Green M. Paired phrenic nerve stimuli for the detection of diaphragm faigue in humans, Eur Respir J 1997;10:1859-1864.
tentiation of diaphragmatic twitch after voluntary contraction in normal subjects. Thorax 1994;49:1234-1237. 71. Similowski T, Yan S, Gauthier AP, Macklem PT, Bellemare F. Contrac tile properties of the human diaphragm during chronic hyperinflation. N Engl J Med 1991;325:917-923. 72. Mier-Jedrzejowicz A, Brophy C, Moxham J, Green M. Assessment of di aphragm weakness. Am Rev Respir Dis 1988;137:877-883. 73. Similowski T, Fleury B, Launois S, Cathala HP, Bouche P, Derenne JP. Cervical magnetic stimulation: a new painless method for bilateral phrenic nerve stimulation in conscious humans. J Appl Physiol 1989; 67:1311-1318. 74. Petitjean M, Bellemare F. Phonomyogram of the diaphragm during uni lateral and bilateral phrenic nerve stimulation and changes with fatigue. Muscle Nerve 1994;17:1201-1209.